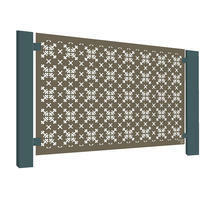 At last, we've found some fence panels that are both decorative and practical. The powder-coated finish creates a modern and sleek look. 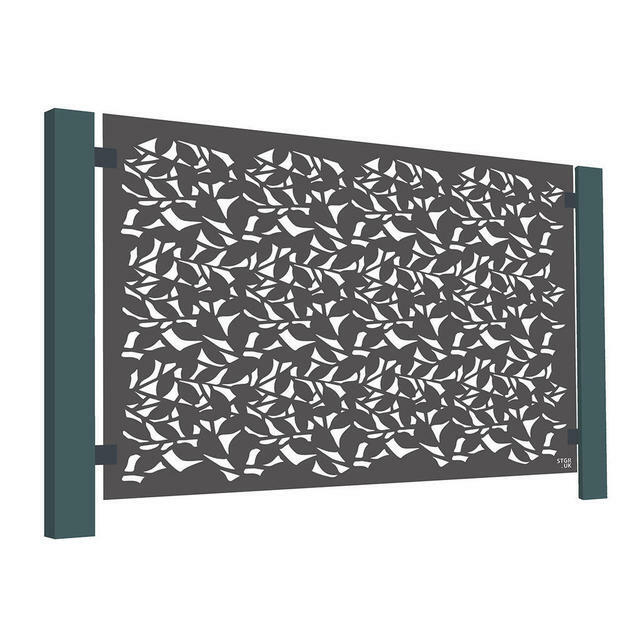 Made from high quality 3mm powder-coated aluminium (in a range of laser-cut designs, the panels are designed to be affixed by specially designed steel clamps to aluminium posts* that can be set in concrete just like traditional fence posts, and require practically no maintenance. 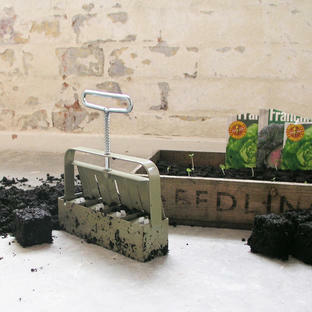 Alternatively, you can use Terrace Footing to fix the post to a hard surface. 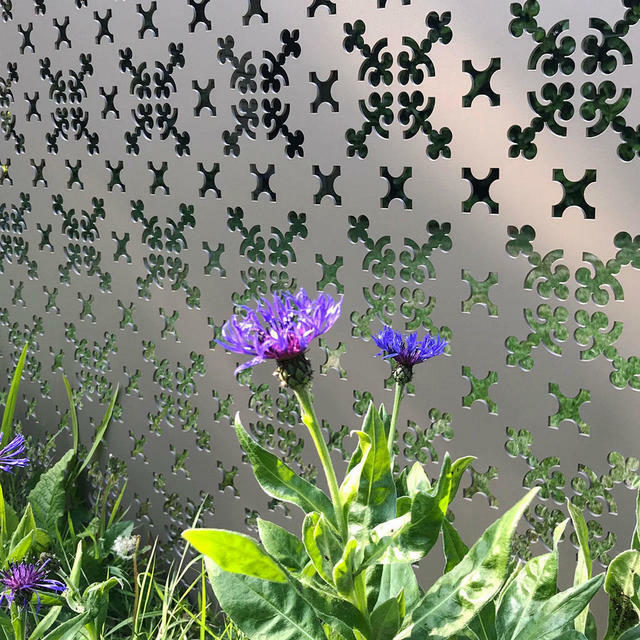 Aluminium's resistance to corrosion, and the inherent strength of their box-section construction, means that these fences/screens will stand the test of time. Please ensure that you order the correct number of Posts, End Caps, Clamps and necessary footings for your design here. Also, note installation and delivery guidance below. 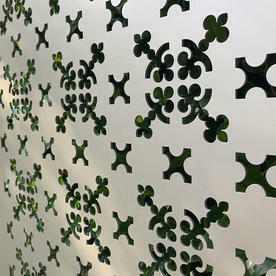 An abstract design inspired by the dappled effect of sunlight through the foliage of a tree canopy. 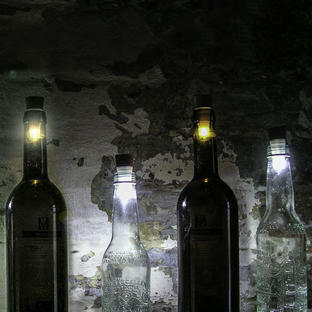 The pattern has 50% opacity and works particularly well when used against a wall and is back-lit. 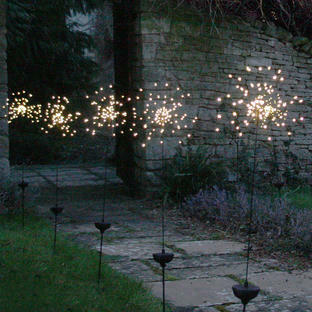 Perfect for screening and delineating outdoor spaces. Can also be used as a boundary fence. Parterre is inspired by 17th plate engravings by Leonard Meager in 1688 and held in the RHS Lindley Library. 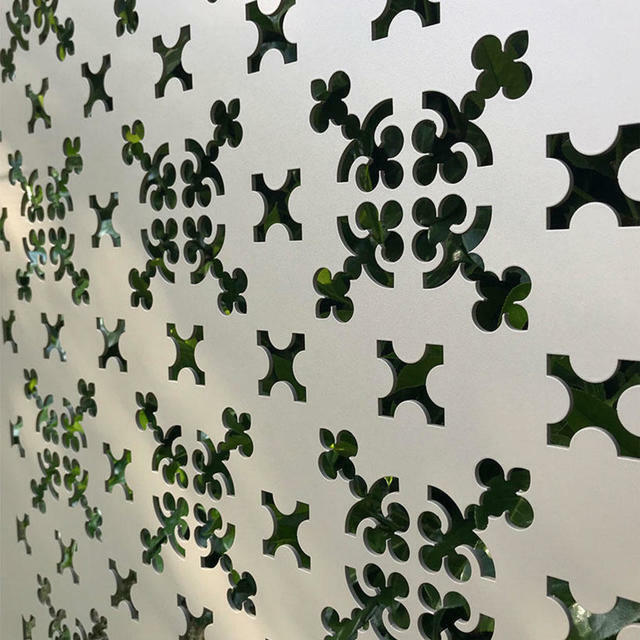 The laser-cut pattern is an interpretation of a parterre design which was traditionally an intricate, and typically symmetrical. 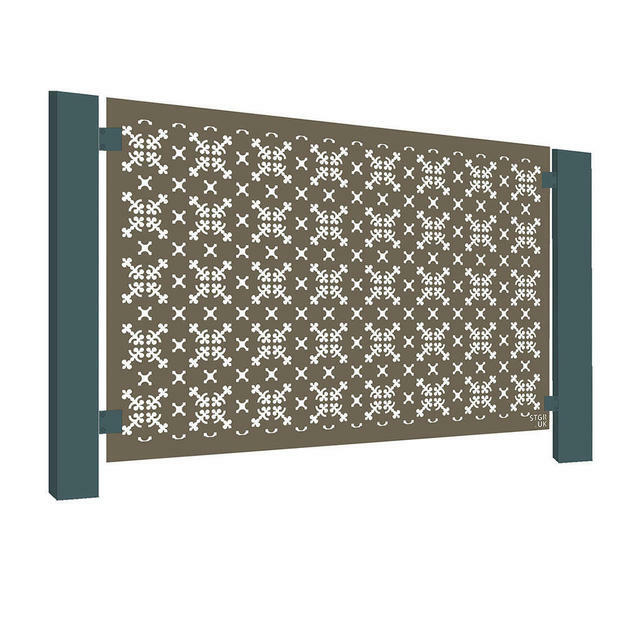 Perfect for screening and delineating outdoor spaces. 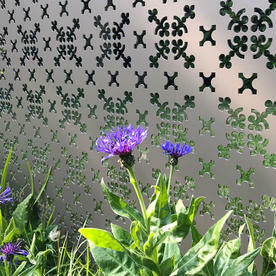 Also available in weathering steel and landscape orientated panels too. 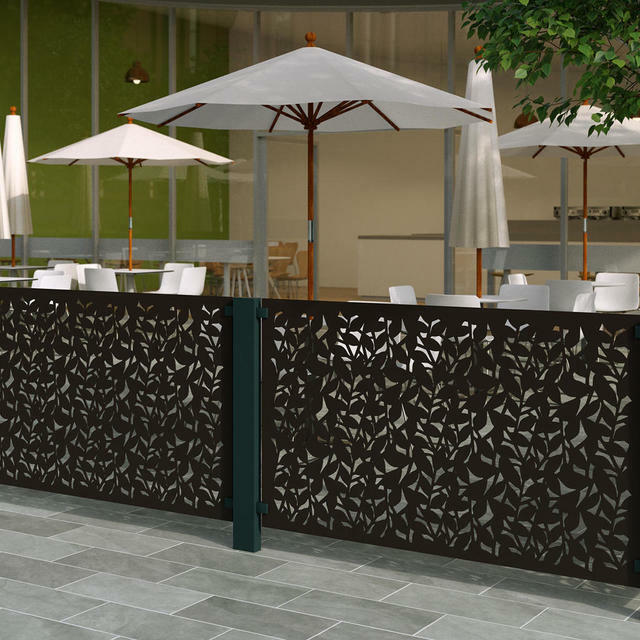 *Please note RAL COLOURS: The standard range aluminium panels are powder-coated in RAL 8019 (Grey/Brown) and the RHS Parterre range aluminium panels are powder-coated in RAL 7006 (Beige/Grey). 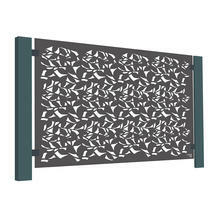 All fittings: Posts, End Caps, Clamps and Terrace Foot are powder-coated in RAL 7021 (Black/Grey), which complements the warmer tones of both the standard and RHS Parterre range aluminium panels. For a continuous line of Screens, you will need to order one more Aluminium Post than your number of screens, and 4 Clamps for each screen. You will also need one Endcap and, if required, one foot for each post you order. Call us on 0345 0652505 if you are in any doubt as to your requirements.